R. R. Palmer was a distinguished American historian who specialized in 18th-century France. He's best known for those of his works widely used as textbooks in universities. 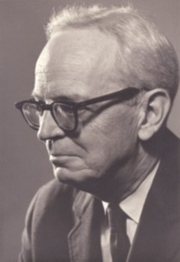 R. R. Palmer is currently considered a "single author." If one or more works are by a distinct, homonymous authors, go ahead and split the author. R. R. Palmer is composed of 12 names. You can examine and separate out names.